It is Thanksgiving again! This year I am serving a new recipe of Quinoa-Cranberry Pilaf at our Thanksgiving feast. 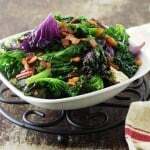 We love this full-flavor side dish with the mix of veggies and crunch of pecans. And, Wow! just look how those fresh cranberries resemble pretty jewels in our quinoa-cranberry pilaf. Thanksgiving is my second favorite holiday of the year. It is a time to honor God for a year of His blessings. 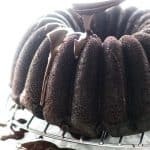 It is a time for gathering with family, friends, fun and feasting. Our table is always loaded and over-flowing with way too much food. 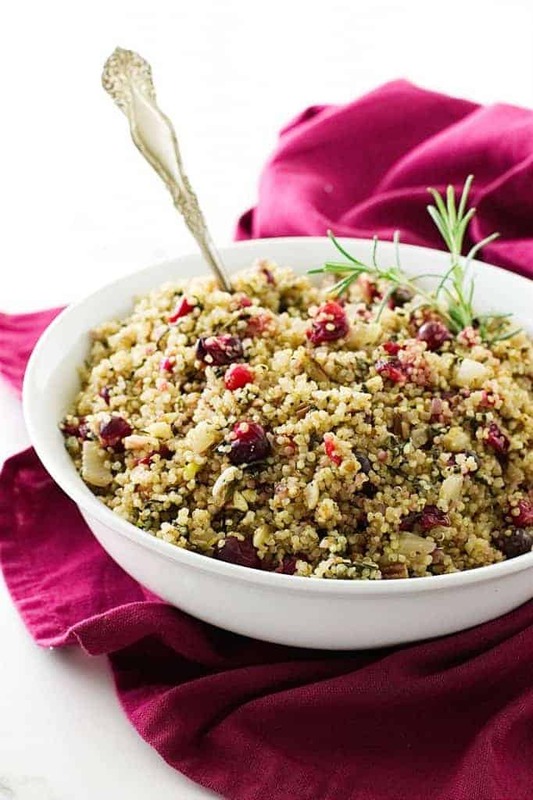 This quinoa-cranberry pilaf is a wonderful side dish and it is gluten-free! We all love that traditional, crusty, bread stuffing but what about the gluten-free guests? This is the answer! But, I am confident everyone will love the flavors in this pilaf. 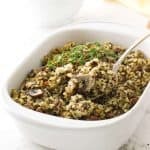 It is filled with good-for-you ingredients of fresh fennel, kale, onion, cranberries and pecans all mixed with that fluffy quinoa. Quinoa-Cranberry Pilaf is filled with nutrition: fresh fennel, kale, onion, cranberries and pecans. Quinoa is one of those ancient grains, although it is really a seed. It was first cultivated about five thousand years ago, which definitely qualifies as ‘ancient’. 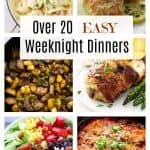 After many years of being stuck in obscurity, quinoa has become a major player in our meal planning. 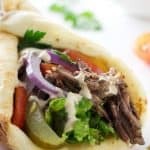 This tiny ancient grain has gained popularity partly because it is gluten-free and works well in gluten-free diets. The quinoa seed is very tiny but it packs a whopping amount of protein. Quinoa contains all nine of the essential amino acids making it a complete protein. Quick-cooking, in just fifteen minutes, quinoa has a bit of crunchy texture and a mild, nutty flavor. There are many colors of quinoa but the most popular are white, red, black and a tricolor. First, the quinoa is toasted briefly to bring out that nutty flavor. Next, fresh fennel, onion, garlic, chopped baby kale was added. 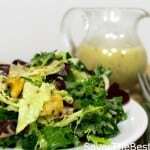 The toasted quinoa and vegetables are cooked in chicken broth and a little white wine which adds another flavor-punch. Finally, after the pilaf has cooked and the liquid absorbed, it is fluffed up and the lightly cooked cranberries, toasted pecans and rosemary are added. 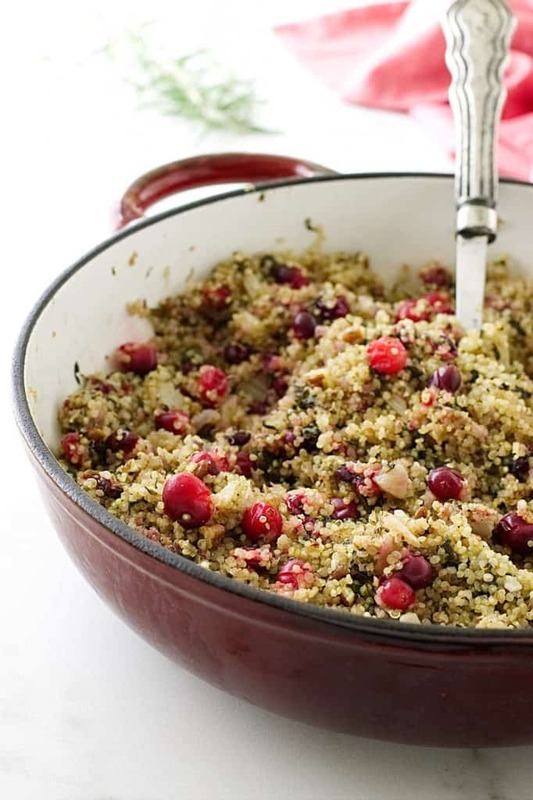 So, why not try this quinoa-cranberry pilaf for the big Thanksgiving Day feast? You can still stuff the bird with the traditional crusty bread stuffing just like always. Have you made this quinoa cranberry pilaf? We would love to hear from you. Drop us a comment below. 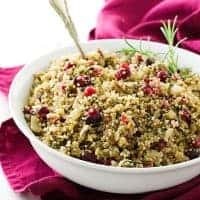 Quinoa-Cranberry Pilaf is filled with good-for-you ingredients of fresh fennel, kale, onion, cranberries and pecans mixed with the fluffy quinoa. Add the oil to a large saucepan set over medium-high and when it has heated add the quinoa. Cook, stirring frequently until toasted, about 2 minutes. 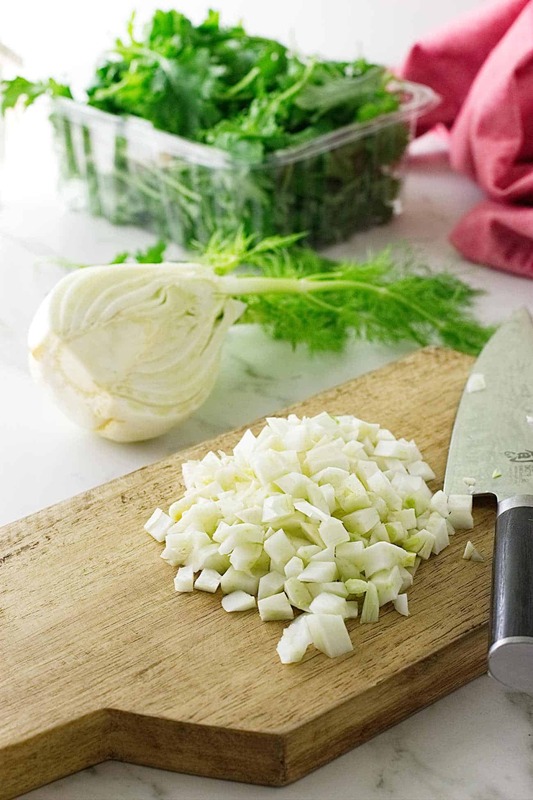 Add the chopped fennel, onion and garlic, cook stirring often, about 2-3 minute until just softened. Stir in the chopped kale, salt/pepper and cook just until the kale is wilted. Pour in the chicken broth and wine. Bring to a boil, cover with a lid, then reduce the heat to low and simmer for 12-15 minutes until all the liquid is absorbed. Remove from the heat and fluff the grains with a fork. Place the cranberries and water in a small saucepan, bring to a boil and cook just to heat and plump the cranberries. Transfer the cranberries to a fine-mesh strainer and drain off the liquid. Toss the drained cranberries, toasted pecans and chopped rosemary with the cooked quinoa pilaf. Serve immediately. Quinoa has a natural bitter coating on the grains that requires rinsing off. Most manufacturers are packaging their quinoa pre-washed. Check the package instructions to confirm that it is pre-rinsed. 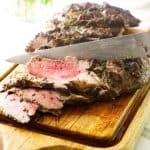 If rinsing is required spread the drained grains onto a thick layer of paper towels before toasting. Contrary to the standard cooking instructions of using 1 cup dry quinoa to 2 cups liquid, we found the ratio of 1 cup quinoa to 1 1/4 liquid is more to our liking. The grains are more distinct and do not become mushy.